Lake Monticello’s Most Comprehensive Website—Lake Monticello Real Estate—Area Info. The Area’s Top Producing Realtor, Patsy Strong, will help you find the home of your dreams at Lake Monticello, VA.
Click to view all Waterfront Homes currently on the market at Lake Monticello! to receive more information about Lake Monticello or to inquire about the many properties we have available here. Want to know what your home is worth in today’s market? Would you like to discuss the sale of your home? Please email Patsy at or call (434) 996-4606 or (434) 589-5800 for the Strong Team Realtors office. Lake Monticello’s Top Producing Realtor Since 2002 - The Lake Expert! Experience That Sells! Lake Monticello VA – Lake Monticello is a Gated Lake & Golf Community Just Minutes From Historic Charlottesville & Only 2 Hrs. From Washington DC! 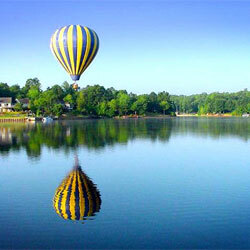 Lake Monticello Welcomes You to Water & Golf Front Country Club Living At Its Best! Real Estate….Homes that are perfect as full-time residences, vacation homes or weekend getaways —- and in All Price Ranges! All A Glorious Part of Lake Monticello Living…and just 14 miles from the University of Virginia & UVA Medical Center — and just 8-miles from Thomas Jefferson’s beloved Monticello. Enjoy an luxury lifestyle in the rolling hills of scenic Virginia. Here, natural privacy and security welcome you and your family to Lake Monticello. From enjoying days end on your waterfront deck of Lake Monticello’s beautiful sunset-drenched 352-acre private lake to the breathtaking challenges of its 18-hole Championship Golf Course, as a home owner in the Lake Monticello community, you will feel as though you are vacationing at home year-round. Make Your Lake Monticello Dreams Come True! -Lake Monticello’s #1 Realtor in Listings & Sales Since 2002 – PATSY STRONG – The Market Leader for nearly 2 Decades! Strong Team Realtors #1 in Home Sales! Put Our Experience & Unmatched Market Knowledge To Work For You! Here you will find information about Lake Monticello Virginia – Lake Monticello Real Estate – Waterfront Homes – Golf Front Properties – All Home Styles & Prices —- Schedule a Private Tour of Lake Monticello! Receive Information about Lake Monticello and the surrounding Charlottesville Area! THERE HAS NEVER BEEN A BETTER TIME TO BUY OR A BETTER COMMUNITY TO CALL HOME! Lake Monticello Virginia – Waterfront and Golf Front Homes in Beautiful Gated Community Just Minutes From Historic Charlottesville and Richmond, and Just 2-hours Southeast of Washington DC. 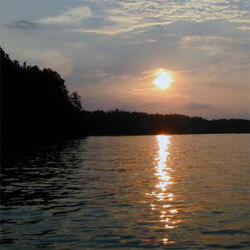 Find Lake Monticello Real Estate and Area Information Here! LAKE MONTICELLO’S TOP PRODUCING REAL ESTATE TEAM #1 in SALES – #1 in SERVICE! PATSY STRONG & STRONG TEAM REALTORS SELL MORE HOMES IN LAKE MONTICELLO – FLUVANNA COUNTY THAN ANY OTHER REALTORS! We Have A Team Of Professional Buyer Agents Eager To Work With You! Each Is An Expert In The Lake Monticello Market – We Give Our Buyers The Benefit of Top Professional Experience & Market Knowledge. Plus, Because of Our Many Years Serving The Lake Monticello Area, We Can Give You In-Depth Information About Service Providers & The Many Opportunities At Lake Monticello For You, Your Family & Visiting Friends! Patsy Strong – Strong Team Realtors remains the #1 Listing Agent for Lake Monticello & Fluvanna County, Listing and Selling More Homes Here Than Any Other Realtor Year After Year Since 2002! Strong Team, Realtors – #1 In Lake Monticello Sales Year After Year!